Hi Friends, Today I came across one website, Evaphone – that is able to make free calls from PC to phone. Perhaps there are number of websites available on the web to make calls from PC to phone, but this is something I simply happen to know when checking out some forums and thought of sharing it with you. EvaPhone provides Internet telephone calls for free using VoIP service which enables you to make PC-to-phone free international calls. All you need is a computer to start making free VoIP calls using Internet to phone. While you make your short call, Evaphone shows a you a small advertisement. It provides nearly all countries including India, china, Bangladesh, Pakistan, Philippines, Saudi, Gulf, UAE etc. Free Calls are sponsored by advertisers. The more people use Evaphone lite, the more free destinations and longer free calls. Help your friends find out about Evaphone lite. To be able to call from PC to phone, they have used a VoIP service. Voice-over-Internet protocol (VoIP) is a protocol optimized to the transmission of voice over the Internet or other packet-switched networks. VoIP is often used abstractly to refer towards the actual transmission of voice (rather than the protocol implementing it). VoIP allows users to use regular telephone networks anywhere through any isp, and avoids issues on long distance charges that are normally be subject to callers. This latter concept is also known as IP telephony, Internet telephony, voice over broadband, broadband telephony, and broadband phone. Personally I’ve tested calling my land line and even my cellphone, both rang! EvaPhone provides Internet phone calls for free. 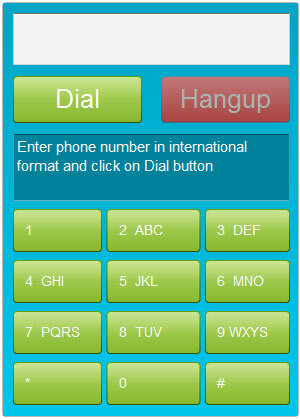 Website offers free VoIP call solutions: free VoIP service enables you to make PC-to-phone free international calls. All you need is your personal computer to begin making free VoIP calls using Internet to phone. Start experiencing the advantages of Internet telephony right now!